Living Area 1377 Sq. ft. Lot Size: 54x150 Square Ft. COMPLETE REMODEL FROM THE STUDS IN!! 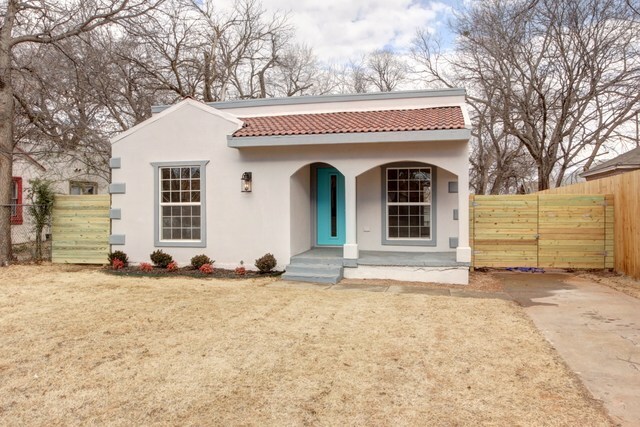 Check out this modern master piece w/ a Spanish flair on the outside. Open concept w/ spacious living, kitchen & dining all open to each other w/ engineered dark oak floors. Gorgeous Kitchen w/ custom cabinets, island, stainless appliances, gas range, marble & quartz counter tops. Both bathrooms have custom modern features that will make anyone jealous. Master suite includes 2 closets & unbelievable bathroom.